Is your child between 4 and 12 years old? If the answer is yes, the purchase of a High Back Booster Seat is in order. The following 8 high back booster seats are the best currently available. Each brief review will highlight the pros and cons of the seat and help you to choose the right one for your kids. Why buy a High Back Booster Seat for your child? This seat wins the award for cheapest and best value. In fact, it looks so good that your kids will want to sit in it even when you’re not driving! Adjustable height, 6 positions allow for growing kids. It can be adjusted with one hand. Back can be removed to create a no-back booster for older kids. Belt guides for ease of installation; using your seatbelts. 2 cup holders, one on each side to help avoid spills. Liner is foam to absorb energy in an accident. Seat pad can be removed to be washed. Rated best bet by Insurance Institute. Only comes in blue; which generally, (although not always), limits it to boys. Narrow width can promote leaning of the seat resulting in an uncomfortable (but safe) seating position for your child. In fact there are very few negative comments about this high back booster seat. It is extremely affordable and should be stable and comfortable if fitted properly. 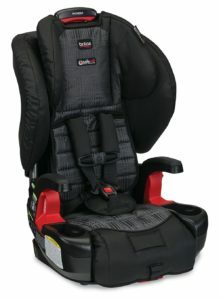 Britax is exceptionally well known in the world of high back booster seats and with good reason. They are generally considered to offer the safest products within the industry. Myriad of safety features including Safe Cell impact protection, side impact protection layers and an impact stabilizing steel frame. Harness for smaller children which can be tucked away when ready for the conventional seat belt. Push button height adjustment to match your kid’s size. High back booster cannot be removed to create conventional booster seat. It’s a wide seat, not suitable if you have several children in the back of your car. Can be difficult to install as belt has a tendency to crinkle. 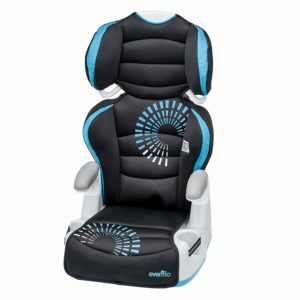 Despite the few negative issues and the more expensive price tag, this is one of the best quality high back booster seats available, particularly in regards to the price ratio and the level of safety it provides to your child. This offering from Graco is a stylish seat which could appeal to both boys and girls. Finished in black and red with cup holders mounted on each side this is practical and one of the best high back booster seats on the market. Can be easily converted to a backless booster when required. Headrest adjusts in seconds to grow with your kids. Cup holders on both sides. Latch to securely locate it on your seat. Your child can easily buckle themselves in. You and they will appreciate this feature. Easy buckle doesn’t work when belt gets caught in dip of seat; this happens often. Latch system can fail to hold the seat securely. 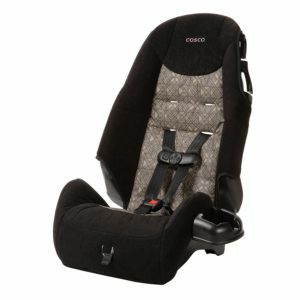 The Graco high back booster seat is generally a high quality article. However, there are a few flaws that you need to consider before purchasing this item. In general these flaws are related to the type of vehicle you own but it is not easy to establish how well it will fit without actually trying it! If it fits securely then it represents excellent value for money and will give you years of service. This is one of the entry level offerings from Graco but that should not make you dismiss it too quickly. In fact, this is far from the worst of the high back booster seats available and is exceptionally affordable. Green color is neutral, for girls or boys. Head rest can be adjusted with one hand, allowing it to grow with your child. Side impact protection which has been tested to confirm it works. Open belt loops to ensure your child can fit their own belt. Can be converted to a backless booster when required. No latch option to secure it into your vehicle. You will need to rely on the seatbelt. Doesn’t fit well if you have forward leaning rear headrests. Product feels cheap; despite the safety approval rating. This is a good example of high back booster seats created with the budget conscious shopper in mind. This should be noted when purchasing the seat. However, the accreditations it has for safety should reassure you that this is an affordable but practical option for your kids. Harness position can be moved to accommodate your growing kids. Harness system can be removed to allow use of seat belt as your child grows. Latch system for securing seat. Harness is only good up to 40lbs but your baby might not be ready to use the seatbelt at this stage. Doesn’t fit all cars properly and could lead to your toddler slouching forwards. This seat has the approval of Insurance Institute and should be considered a safe affordable option for your child. Providing you ensure it is fitted correctly it is a safe and comfortable option for your child. This is one high back booster which looks simply stunning. It is designed in a stylish yet neutral dark gray and black. Your son or daughter will be happy with the look and comfort offered by this seat. An impressive 10 different side-impact protection zones; keeping your kids as safe as possible should the worst happen. Easy fit using the latch system which can be tighten with just one pull of the strap at the front of the seat. The seat is contoured and padded to ensure maximum comfort. Can be easily converted to a backless booster. Cup holders integrated on both sides. Impressively these fold into the seat. Storage console available which clips into the cup holder. There are very few negative comments or downsides associated with the Chicco Kidfit. Can be difficult to fit n some vehicles. You should verify the fit before you purchase or make sure it is possible to return it. This seat is excellent value for money and a close contender for the top spot. You will not be disappointed if you choose this one. 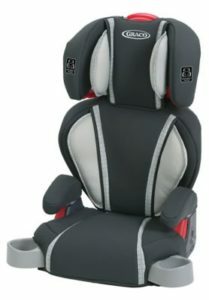 As the name suggests this is another of the high back booster seat which offer 2 seats in one. The seat looks good in black with a textured centre piece. You can choose between a wide range of colors including amber, canteen, pink and Zahari Zebra. Comes with 5 point harness for toddlers up to 40 pounds, and then switches to seatbelt for older kids. Harness can be easily adjusted from front of seat. Covers can be removed and washed in your machine. Cup holder as standard. This can also be removed to be washed. Incredibly attractive and affordable price. Extremely light when you need to carry it with you. Seat is on the smaller side, you may find your kids outgrow it quickly. Lack of cushioning at the back. It could offer more support for a sleeping child’s head. This is an affordable and good value seat. But, it is important to note this is not a premium product and might be uncomfortable for your child on a long trip. You can purchase this seat in a variety of colors; the poppy pink one is particularly distinctive and stylish. The way the arm rests fold over while remaining almost part of the base gives this seat a futuristic look. 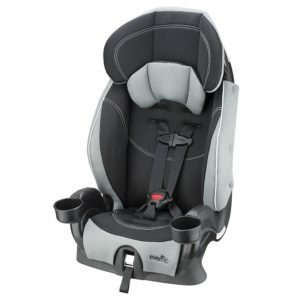 Headrest has 9 different positions to ensure seat grows with your child. Foam liner built in to absorb shock during an impact. Covers can be removed to wash in your machine; carefully! Comes with 2 snack trays which can be removed and 2 cup holders. Advanced compression technology ensures maximum protection if you are involved in an accident. Changes from a high back booster seat into a no back booster. Concerns have been voiced over the quality of the design and safety of the belt. Slot for seat belt is narrow and might not accommodate all seat belts. In general the response to this seat has been remarkable positive. It is also among the best value of all the high back booster seats. From the moment your child is born they need an appropriate seat when travelling in the car. This is for their safety and your peace of mind while driving. Of course, when they are very small it is very easy to slot them into an appropriate child seat. However, as your child grows they will appreciate the addition of high back booster seats. These items continue to provide a high level of protection in the event of an accident but they also help your child to feel a little more grown up. This is important; the bigger the get the easier it is for you if they are willing to get into high back booster seats by themselves. Can a 3 year old sit in a booster seat? Depends. High back booster seats are usually designed for children that weigh between 15kg and 36kg. This is generally when they are aged between 4 and 12 years old. 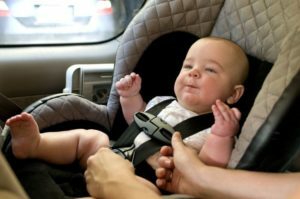 According to this study, using a booster seat even before said age may or may not cause harm to the safety of the child. This is a long time! For this reason you need to choose the right high back booster seats for your child and your vehicle. The better the quality and practicality of the seat the longer it is likely to last. A more expensive seat can be seen as a good investment if it will provide you with years of service. Of course, you can’t place a value on the safety of your child if you are involved in an accident. These seats are not just for safety and to comply with the law; they must also be comfortable for your child. Younger children often fall asleep while you are driving; you need to ensure that their head is well supported. Choosing the right high back booster seats is not always an easy task. There are several extremely affordable options. However cost is probably not your main concern when selecting a seat for your kids. You need to look at the safety features incorporated into the high back booster seats. The more protection they have the better. However, it is important that high back booster seats have been properly tested and approved. After all, anyone can say a seat is safe but if it has been approved by the appropriate body then you can feel confident that your chosen high back booster seat is an affordable and attractive option. It doesn’t matter whether you choose a red seat, blue one or a different color; it simply needs to have the right safety features. Side impact protection and absorbing foam are two of the most critical factors to look for. Cushioning is also good to ensure your child is comfortable when travelling larger distances. Younger kids will be more likely to fall asleep and must have a good level of head support. Proper safety management can prevent injury or even death! The range of styles is impressive and this is simply a personal choice. However, you should also consider the design. High back booster seats with built in cup holders will make your life easier, as will the ability to remove the covers and wash them. It doesn’t matter how old your kids get they will have accidents and if you allow them to eat in the car there will be mess which needs cleaning out. High back booster seats are not the easiest to keep clean due to the way they are shaped. It is therefore imperative to be able to remove the covers and wash them periodically. The design should also reflect the vehicle you own. Some high back booster seats will never sit properly in cars which have forward leaning head rests. It is essential that you know what will and will not work in your vehicle as this will help you assess the design of each of these high back booster seats. The right style and design can inspire your child to fasten their own belt, ensuring they feel more grown up and you don’t have to worry about whether they are fastened in securely or not. If your seat is well built it could last for as long as your child needs one. This is great for your wallet and can justify spending some additional funds on the right seat. However, if this is a possibility you need to ensure that you look at high back booster seats which can be converted from a high back to a standard booster. The high back booster is essential for younger kids as it provides support, especially to their neck if they are likely to sleep in the car. Please make sure the seat that you are using will be in accordance with the according legal system. There are different rules depending on which state you live in. You should consider the width of the car seat and the number of seats you need to fit into your vehicle. Narrower seats tens to be more likely to twist or lean unless secured properly. They are also less accommodating for larger kids. But, if you need to fit three seats into your car then a narrower seat might be the only option. 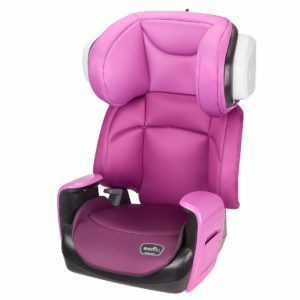 The most popular place to purchase high back booster seats is online; stores such as Amazon and EBay offer an array of choice and make it very easy to compare the features of different seats. You will also have the ability to return the seat if it s not up to standard or suitable for your needs. It is possible to find pre-used high back booster seats on auction sites and local adverts. However, it is recommended that you do not purchase used seats. You will not know how they have been treated or if the car they were fitted in had an accident. It may not be visible but it can damage the seats integrity and not provide your kids with the protection they deserve. We found an interesting article about recycling old baby car seat. If you are interested just follow this link. It is important to remember that a kid between 20 pounds and 40 pounds should use high back booster seats with a 5 point harness. After this they should be able to use the seatbelt to secure the high back booster seat. However, it is important to assess your child before you change the 5 point harness; there is no harm in them wearing it a little longer. It is also worth noting that your kids ears must be below the top of your headrest, whether you are using a high back booster seat or the back less version. This ensures they are adequately protected in the event of an accident. The range of high back booster seats on the market is extensive. There are many worthy options but the 8 on this list are the best you can currently purchase at affordable prices. 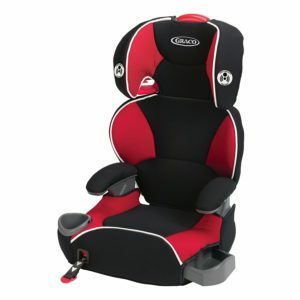 There are two options if you want the best of this best high back booster seats list. The first is the Evenflo Big Kid AMP Booster which is the cheapest and therefore the best value seat on offer. The second is the Britax Pioneer which is definitely the best quality for the price. The final decision is yours but don’t ever be afraid to return a seat if it is not what you expected. While shop purchasing can give you the advantage of testing the seat in situ, buying online is far easier as you can fit the seat properly and test it while still having time to return it if necessary. 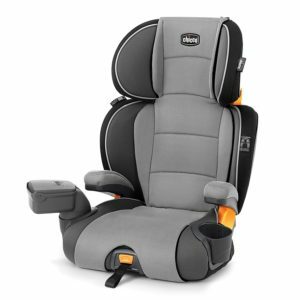 I hope this review helps you to find the right high back booster seat for your needs and budget. If you have found it useful then share it with your friends. After all, helping them make the right decision is the least you can do!